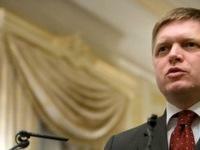 Will Slovakia’s Robert Fico Be Another Viktor Orban? What is going on in Central Europe? After Viktor Orban’s consolidation of power in Hungary, another political strongman has returned to the helm, this time in Slovakia. Former Prime Minister Robert Fico has once again assumed the leadership of Slovakia following his Smer-Social Democracy (SMER-SD) party’s landslide victory in last month’s elections. Like Orban in Hungary, Fico will preside over the first single-party cabinet in Slovakia since the collapse of communism in 1989. His coalition government between 2006 and 2010 had been accused of abuses of power and a lack of respect toward the opposition, media, and NGOs. And, much like his Hungarian counterpart, Fico could yet use his political mandate to attempt to reinterpret Slovakia’s history, change key laws, or battle with the European Union on nationalistic grounds. However, despite some of these similarities between Slovakia and Hungary — which along with the Czech Republic and Poland belong to the so-called Visegrad Four (V-4) group — there are at least five reasons to suggest that Bratislava will not follow Budapest’s trajectory. First, the political power of Fico’s center-left SMER-SD is not nearly as overwhelming as that of Orban’s Fidesz party. SMER-SD won 83 out of 150 seats in Slovakia’s one-chamber parliament, and therefore enjoys a simple, but not a constitutional, majority. Although the five opposition center-right parties (of which four served in the previous government) are seriously weakened and fragmented, they will comprise a competent and credible opposition. Moreover, none of the nationalist or xenophobic political parties crossed the 5 percent threshold necessary to enter parliament. While Orban faced pressure from the radical nationalist Jobbik party, the poor performance of the radical parties in Slovakia means that Fico is not going to be influenced by extreme, anti-EU elements. Second, Fico won in large part on a pro-social and pro-European platform, and by offering voters stability and predictability following the complex coalition dynamics and eventual collapse of the center-right government lead by Iveta Radicova. He did not use the nationalistic card in his campaign nor did he blame external actors for Slovakia’s current problems. He was even open to accepting some center-right parties in his coalition but in the end did not need them in order to form a government. Third, Fico’s post-election behavior has been a surprise — the good kind. He has been more open toward the media and rather consensual and generous toward the opposition, offering them important parliamentary posts. Aiming to avoid improvisation and mistakes in several key areas, he invited experienced non-party personalities to serve as ministers in his new cabinet, namely the ministers of justice, health, economy, and foreign affairs. This suggests a strong commitment to tackle serious domestic and international problems rather than a focus on building his party’s power base. The key tests of Fico’s leadership will be his handling of chronic and widespread corruption and the peculiar interplay between political and business circles that has shaped public attitudes toward the state and its system. Fourth, the nomination as minister of foreign affairs of the well-known and experienced diplomat Miroslav Lajcak, who until recently worked in EU High Representative Catherine Ashton’s team, underpins Fico’s pre-election promises that Slovakia’s strategic goal would include remaining strongly anchored to European and transatlantic structures. Slovakia is not only a member of NATO and the EU but is also the only V-4 country that is a eurozone member. It is therefore expected that Fico will not experiment with unique economic models nor will he ignore economic experts, experienced practitioners, and standard EU rules. Fifth, Fico’s recent meeting with representatives of trade unions, employers, churches, and universities — in which he asked for their ideas for the government manifesto — suggests the beginning of a new political culture. However, he has not revealed his feelings toward vibrant civil society organizations with significant watchdog capabilities. All in all, Fico is evolving into a mature and predictable politician, which may prove that he has learned from his past mistakes and those of other leaders. That includes Viktor Orban, with whom Fico will soon be entering into a necessary dialogue over many important bilateral, regional, and European issues. 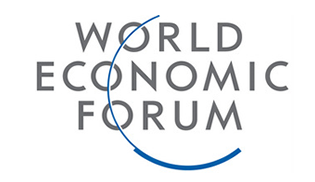 Pavol Demes is Senior Transatlantic Fellow with the German Marshall Fund of the United States (GMF) in Bratislava.